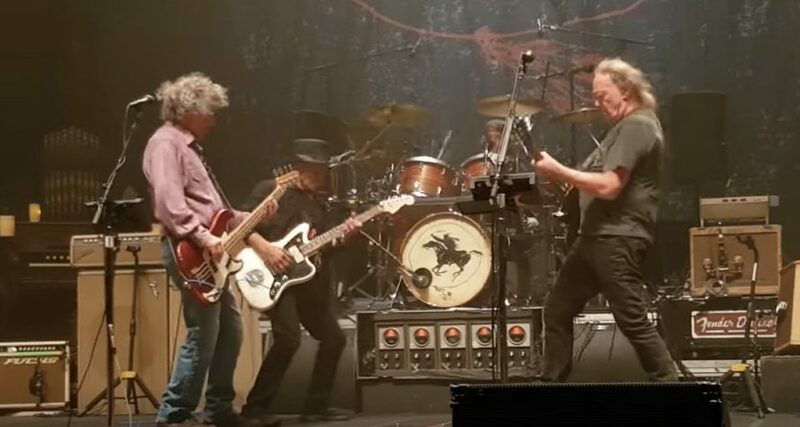 Neil Young will begin recording a new album with his longtime band Crazy Horse this month ahead of a planned release later this year. The rocker revealed the news during a recent exchange with a fan on his Archives site, in response to a request for new music amongst his ongoing archival projects. 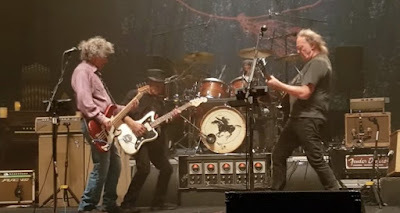 The project marks Young’s first record with Crazy Horse since 2012’s “Americana” and “Psychedelic Pill” releases; the band’s current lineup features bassist Billy Talbot, drummer Ralph Molina, and multi-instrumentalist Nils Lofgren in place of retired guitarist Frank Sampedro. 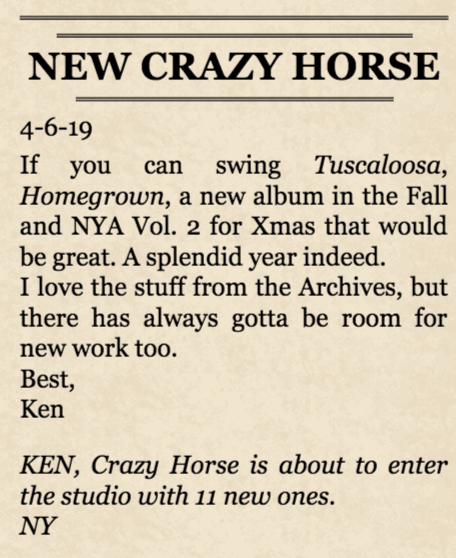 A few months ago, Young shared plans about an expanded reissue of his 1990 album with Crazy Horse, “Ragged Glory”, that will likely include a number of unused songs from the original recording sessions as part of a possible 2019 release.